Participants must have intermediate to advance knowledge in Excel. Having hands on experience with Pivot tables, functions such as SUMIF, VLOOKUP & IF and Excel’s commands such as Filtering, Text to Columns and sub totals. 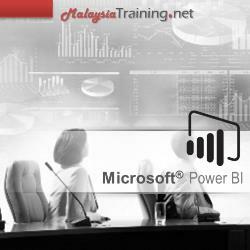 This 2-day Fundamentals of Power BI Desktop training is for intermediate/advance Microsoft Excel users who want to get started with Power BI Desktop and implement Business Intelligence in their organization. The training topics include Power BI Desktop installation, integration with Excel, CSV, and Web databases, the use of Power Query, Power Pivot, DAX functions and more. Others like reports and dashboard creation will also be included.